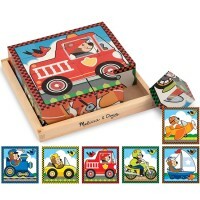 This Vehicles 8 pcs Jumbo Knob Puzzle makes the best first puzzle for your little car lover. 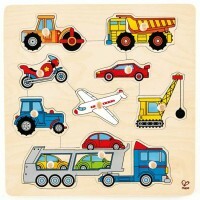 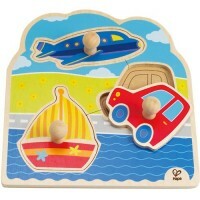 This Melissa & Doug's new jumbo knob puzzle is the best first vehicles for the tiniest hands! 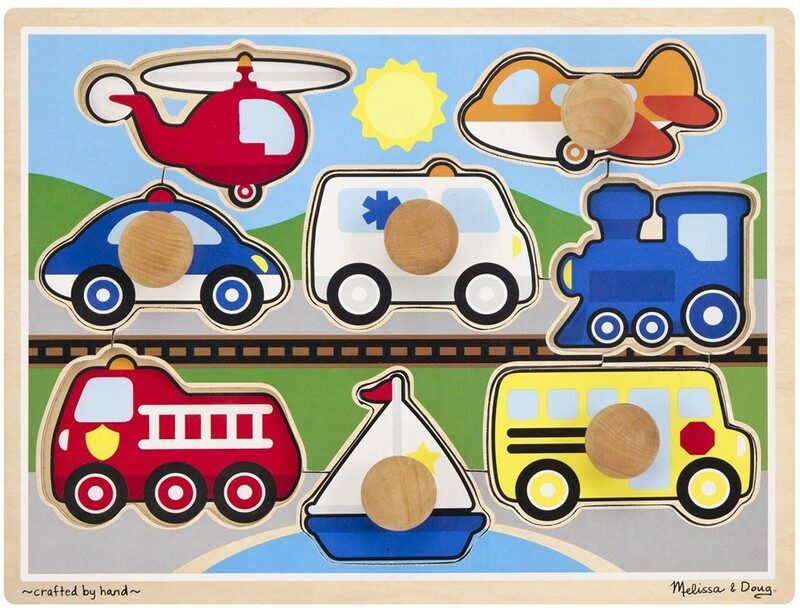 Just look how well the Vehicles Jumbo Knob Puzzle is illustrated, how sturdy the transportation puzzle is made, and how easy the wooden knobs are to grasp! 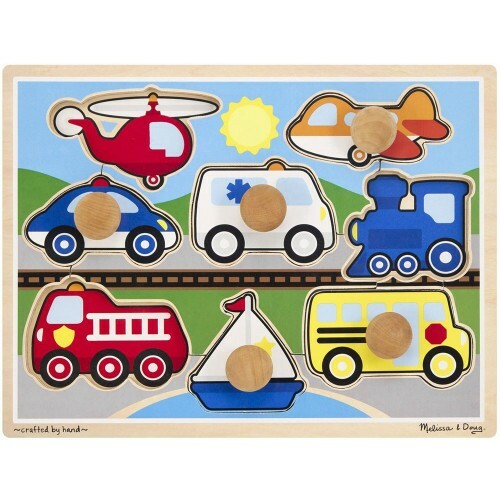 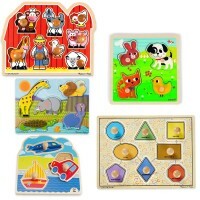 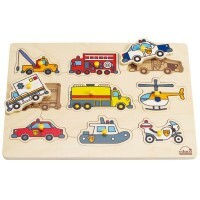 Learn to find the right place on the wooden puzzle board for 8 popular vehicles, and develop manual dexterity with this colorful toddler knob puzzle. 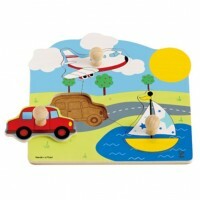 Vehicles Jumbo Knob Puzzle from Educational Toys Planet presents the most favorite tot's vehicles that make your little guy want to do 'vroom' for hours. 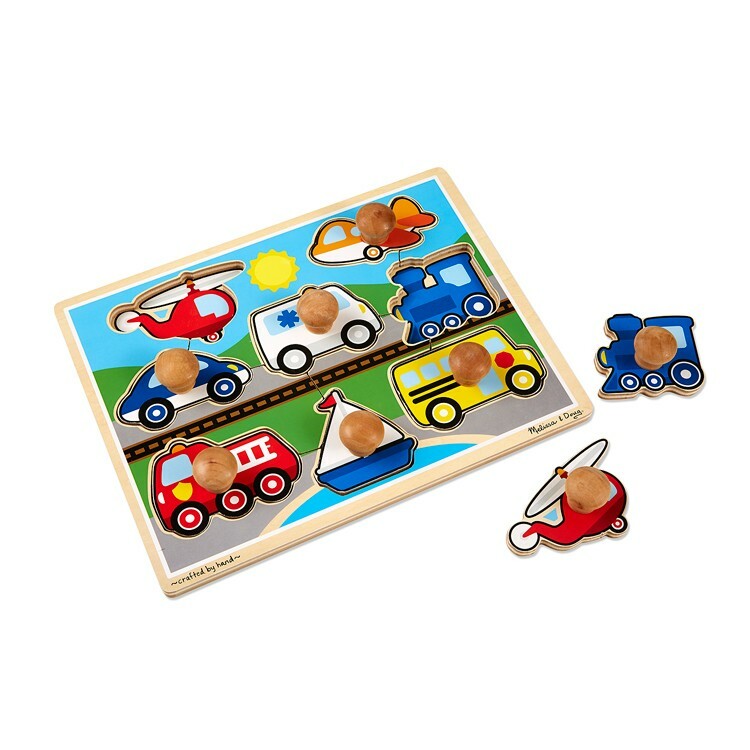 The same kids friendly vehicles can be found underneath each puzzle piece to make the problem solving a bit easier for the little puzzle lovers. 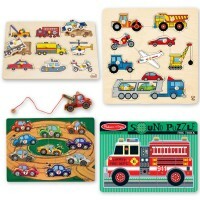 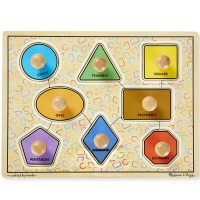 Dimensions of package 12" x 16" x 2"
Write your own review of Vehicles Jumbo Knob Puzzle.